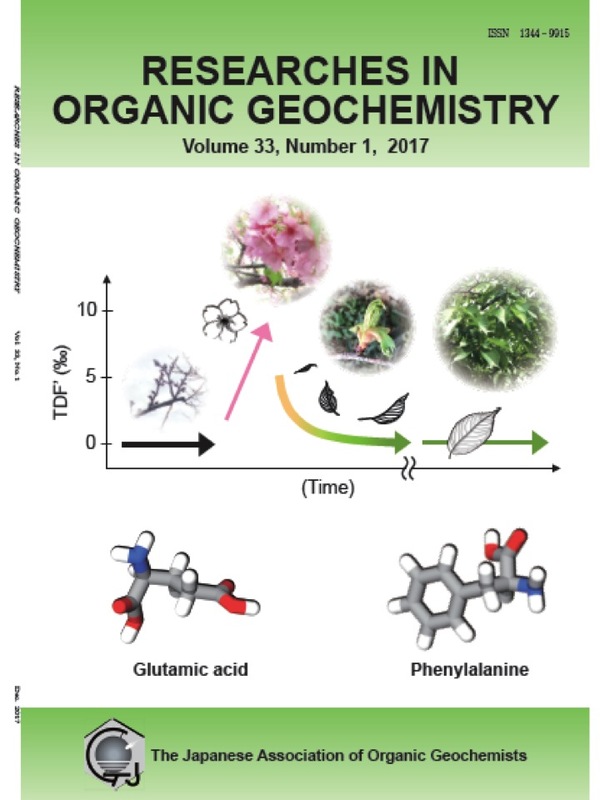 Change in the d15N value of plant amino acids on the phenology of leaf flush and senescence Takizawa, Y. and Chikaraishi, Y.
Nakakuni, M., Takehara, K., Nakatomi, N., Higuchi, J., Yamane, M. and Yamamoto, S.
Miura, K. and Goto, A. S.
Does the symbiotic scale-worm feed on the host mussel in deep-sea vent fields? Takahashi, Y., Sasaki, Y., Chikaraishi, Y., Tsuchiya, M., Watanabe, H., Asahida, T., Maruyama, T. and Fujikura, K.
Aoyagi, K., Yamanaka, A., Goto, A. S., Fujino, T., Korenaga, T. and Chikaraishi, Y.
Miyata Y., Horiuchi A., Paleo Labo AMS Dating Group and Nishimoto T.
Hossain H.M.Z., Sampei Y. and Roser B.P. 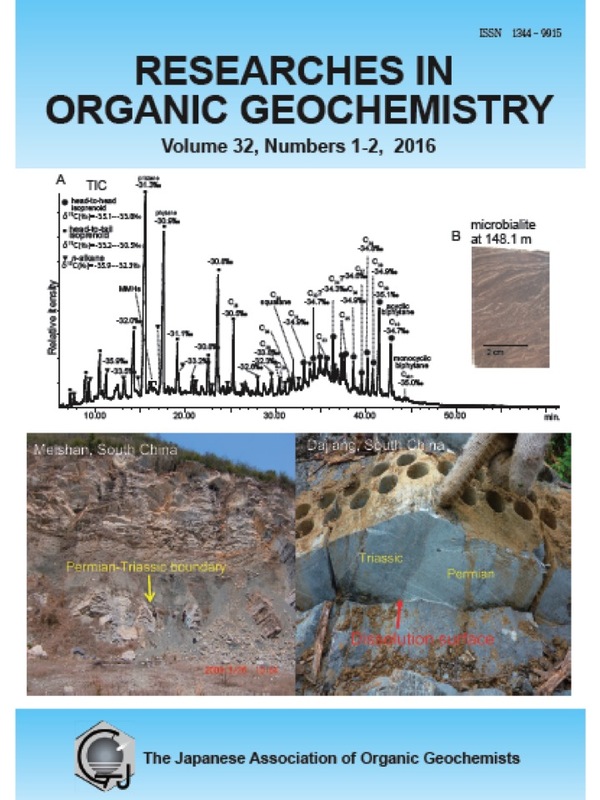 Ono N. Sawada K., Kubota M. and Shiraiwa Y.
Yamashita Y. and Tanoue E.
Statistical Thermal Alteration Index (stTAI) and vitrinite reflectance (Ro) influenced by various geological phenomena. 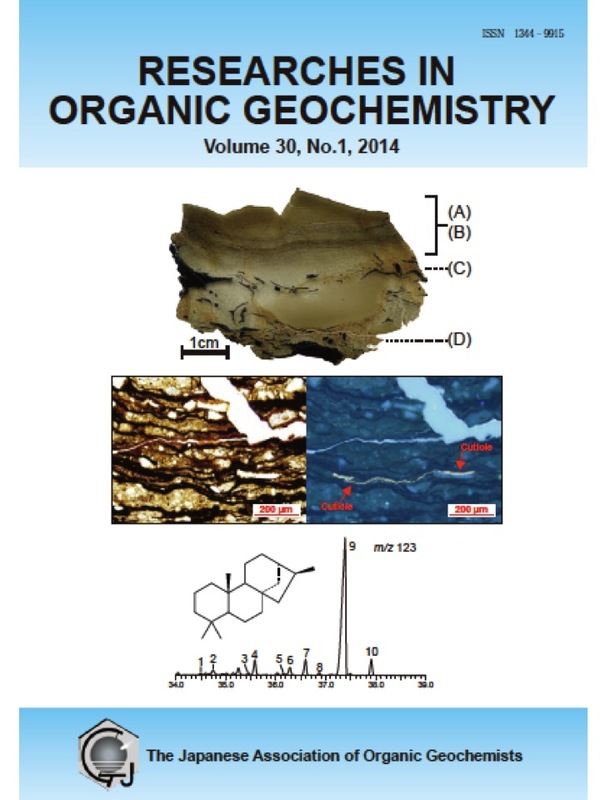 Hopanoic acids in Tertiary marine siliceous rocks - GC/MS analysis of major regular hopanoic and 28-norhopanoic acids. 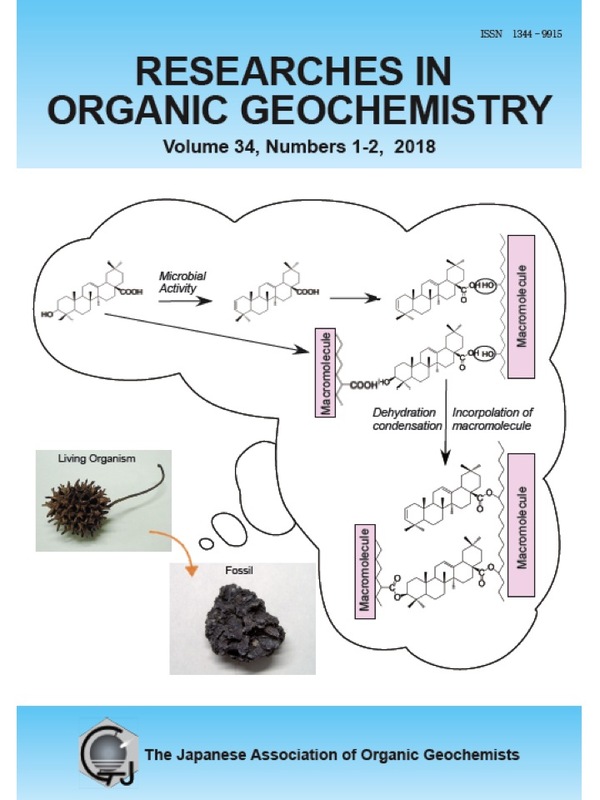 Copyright (C) The Japanese Association of Organic Geochemists. All Rights Reserved.